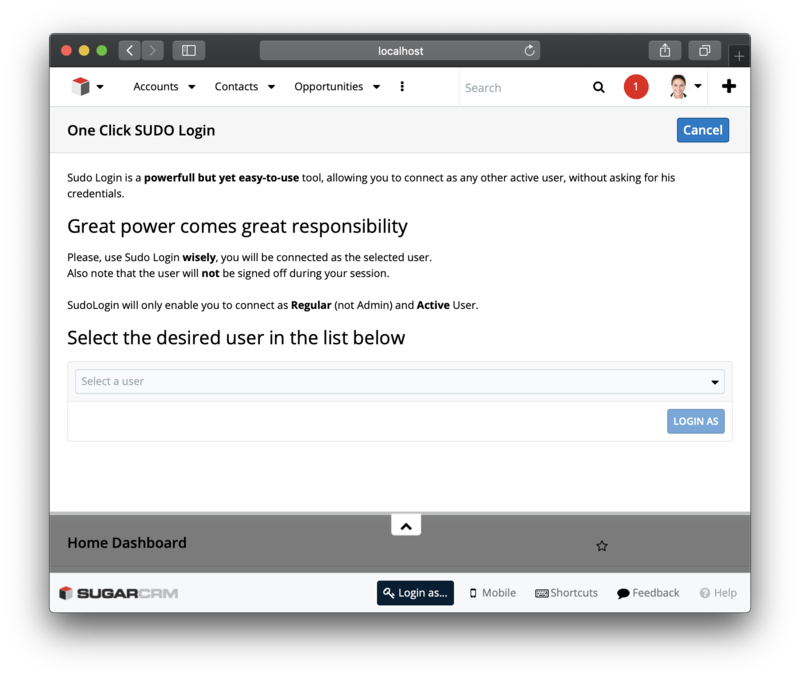 Sudo Login for SugarCRM 8+ allows SugarCRM Administrators to log in as a different user without knowing or entering their password in one click. The module has been totally rewritten to rely on Sugar8 API and capabilities. Setup / Configure user's personnal workspace, that is specially useful for team's newcomers to avoid letting them start from a blank CRM page !